Yesterday, Loretta and I took the Blazer up to Owl Creek Pass. I wasn’t feeling up to snuff for a motorcycle ride, and perhaps shouldn’t have tried something that made my stuffed ears try to pop, but I can report the road is clear, dry, a bit rutty here and there, but otherwise perfectly passable. We went up toward the West Fork of the Cimarron, but snow quickly blocked our way. We contented ourselves with pictures. 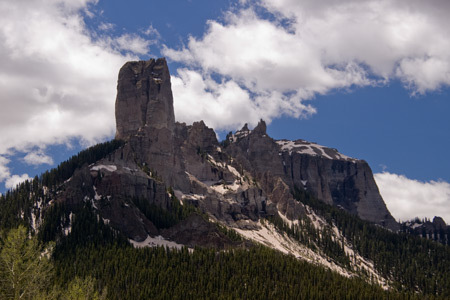 Here's a nice view of Chimney Peak (left) and Courthouse Rock (right). Double-track trails take off from Stealy Mountain Trailhead that go right up to the base of each. I took the Chimney Peak photo above from the place where my DeLorme PN-40 GPS finally acquired the satellites. I had my Pentax K-100D. It’s too bulky to carry on the motorcycle, but since we were in the Blazer I grabbed the chance to take a real camera! What a difference between a point and shoot and a DSLR! Here's a nice white flower that covers some bushes. 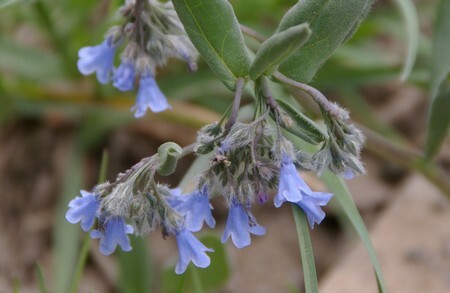 The flowers themselves are nearly an inch across. Wildflowers come in all shapes and varieties. 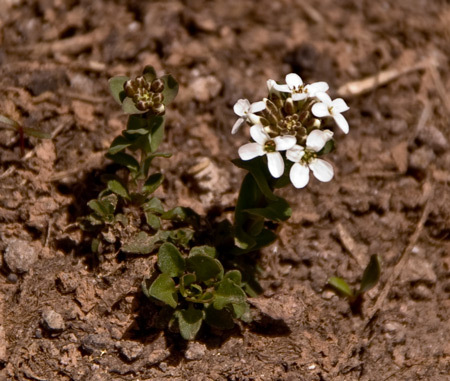 Here's a little white flower that grows close to the ground, with blossoms perhaps a half-inch across. 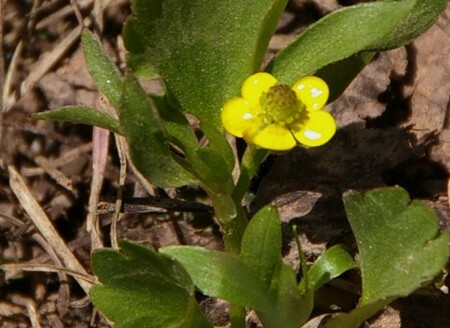 Here's a little yellow flower. 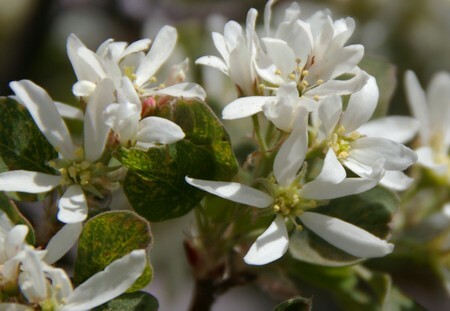 Dave…..Tiny wild flowers are one of life’s exciting pleasures. NICE !